You may heard that lavender essential oil is known as the Swiss Army knife of essential oils? Because of its versatility, gentle effects that are safe for children, pleasant fragrance and all-round properties, it is one of the most popular essential oils and often recommended as a must-have. I always recommend it to anyone new to essential oils or who asks what essential oils to get for her family. I have given it as Teachers’ Day and Christmas gifts because I think anyone can find a use for lavender. Even if you can’t find a use for lavender, it smells lovely. Remember Yardley soap and talc powder that were the rage perhaps 20 to 30 years ago? I used to inhale the powder whenever Mom put it on us after a shower. Since then, I knew I would always love lavender. Over the years, I have bought lavender essential oil here and there for my potpourri and aroma burners but didn’t find any lavender that intoxicated me. In fact, some caused allergic reactions like sneezing and teary eyes so I wasn’t impressed. While planning a trip to Hokkaido, Japan, a few years ago, reading and hearing about the lavender farms and food there, got me excited and hopeful about lavender again. But, alas, the visit to a lavender farm was a bit of a letdown as the harvest was over when we got there. The perfumery in the farm and the fragrance oil samples did not inspire me neither. I didn’t know anything about essential oils and their distillation then, so I did not know what I was missing. Workers were seen filling up little bottles of perfume. It was not a distillery at the farm although some kind of oil was extracted from the lavender. In Hokkaido, lavender is used as fragrance and flavouring in food like ice-cream, tea, sodas and pastries, but surprisingly to me now, I didn’t see it being shown to be used on the therapeutic level. The lavender plant has been documented to be used for thousands of years for healing and medicinal purposes. The French have lived with lavender for centuries and used it for common household ailments like cuts, burns, colds, sleeplessness, infections, tummy-aches and headaches. Don’t take my word for it, google it! 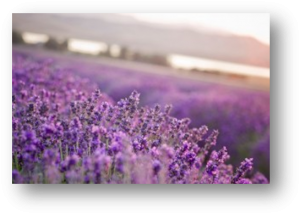 I learnt the various uses of lavender while researching for toxic chemical-free household cleaner. I added lavender essential oil to laundry and did away with the dryer sheets (which everyone should stop using now!). I added it to vinegar and water solution to clean the floors and all surfaces. My home smelled lovely and I felt at peace with eliminating toxic chemicals from it and keeping it safe for my young children to eat off the table, counter and even the floor! 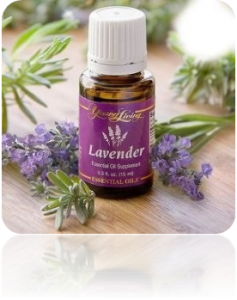 Since discovering Young Living Lavender, I have not been without it. It helps me enjoy the flowering season when pollen is in the air, lulls me to sleep, soothing to the skin and is especially wonderful for my active children when they go bumping into objects! It has travelled with us on flights and is great at combating the jet-lag, when used together with Cedarwood. This is a must-have for every oiler!